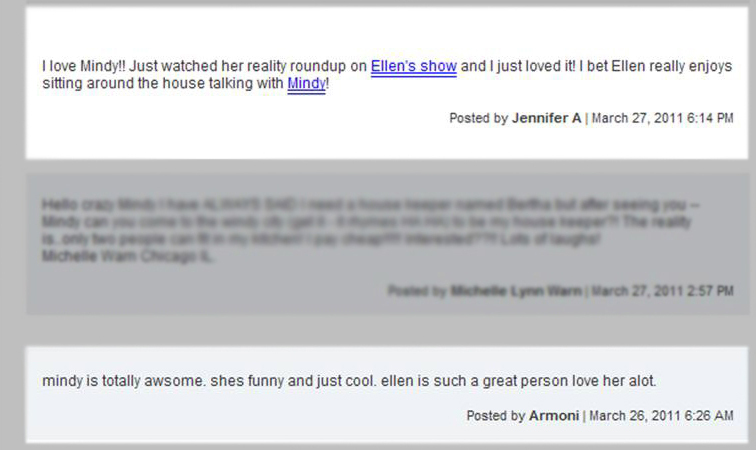 This is a new segment in Ellen DeGeneres's show, Mindy's Reality Roundup! 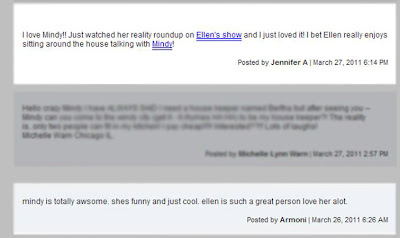 Turns out that Ellen asked her Filipina houskeeper to do a segment in her show that mainly showcases her opinions on reality shows. 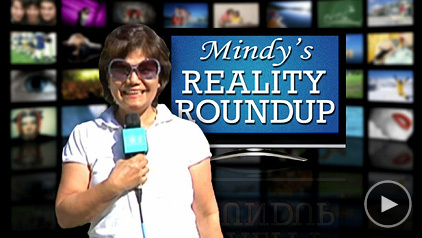 A few days after the airing of the new segment, Mindy became the new rave of people around the world. "You're so cute Paul. I like your bird!" MUMBLINGS: I can't help myself. She is just soooo funny. She was on the local news and I was serious as hell doing work when the showbiz segment of the news turned up. The special piece was about Mindy. Honestly, the statement about how cute Paul's bird was really, really, REALLY hilarious. Though she really meant his "beard".MAN! She is really one of a kind. I hope she continues to make people happy.